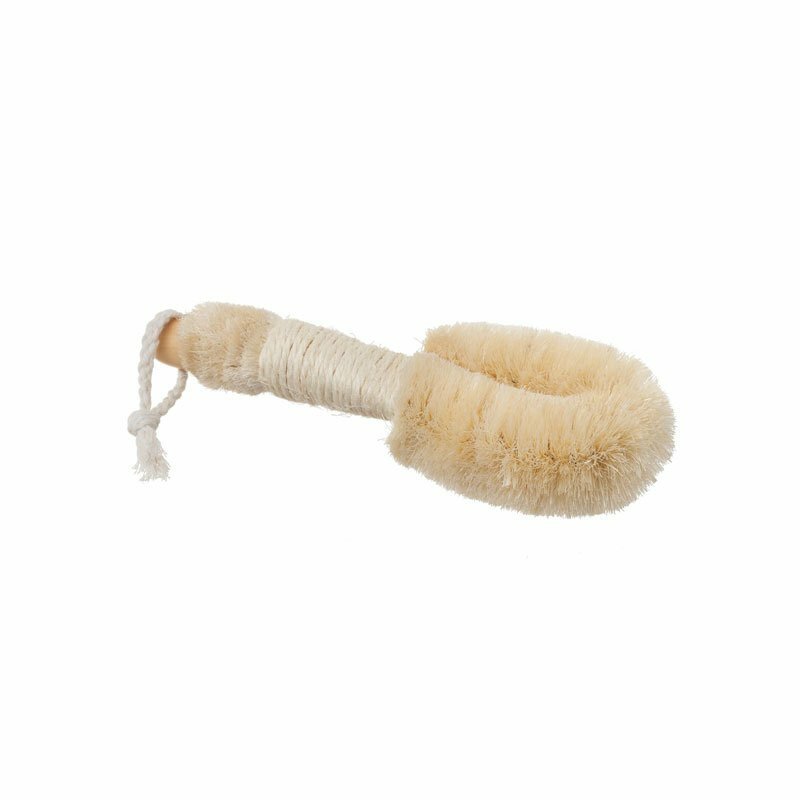 Stimulating body brush from Made by Yoke. Designed to increase blood circulation and reduce the appearance of cellulite. Natural bristles, jute-wrapped handle with wood cap and loop for hanging. Vegan.